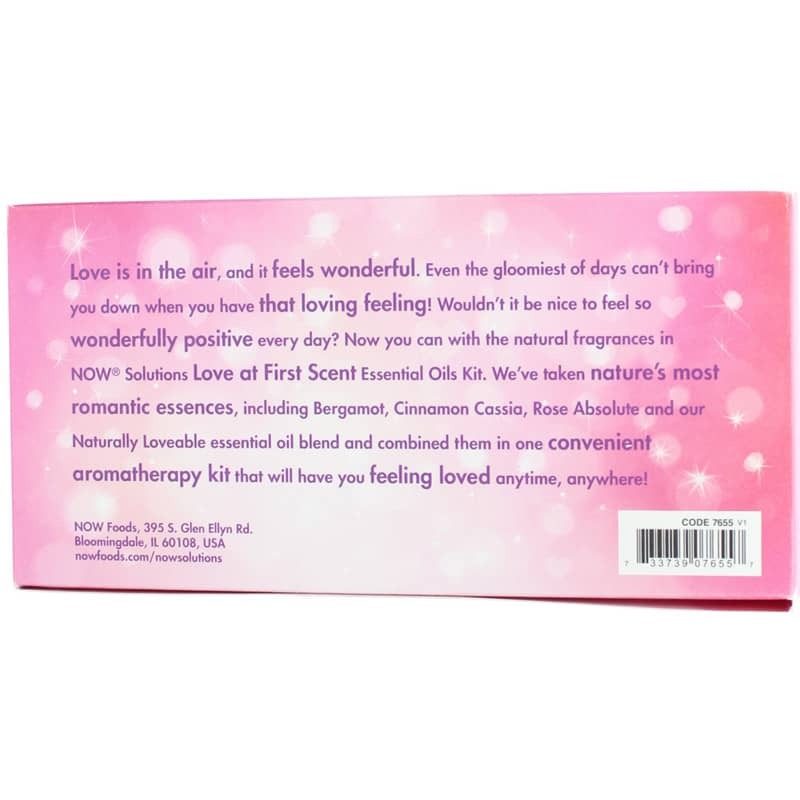 Love At First Scent Romantic Essential Oils Kit from NOW includes four different lovely oils for endless ways to bring a little more love into your life. The kit includes bottles of cinnamon cassia, rose absolute, and bergamot, which have uplifting and lively properties to help you feel your best. You'll also get NOW's special Naturally Loveable, which is a blend of lemon, orange, sandalwood, jasmine and ylang ylang oils that's truly loveable! Use the oils individually, or blend them to create your own signature scent. Add them to a diffuser to surround yourself with warm feelings and good vibes, or add them to a favorite lotion and smooth it on to take the smell of love with you wherever you go. Put a little love in your life. 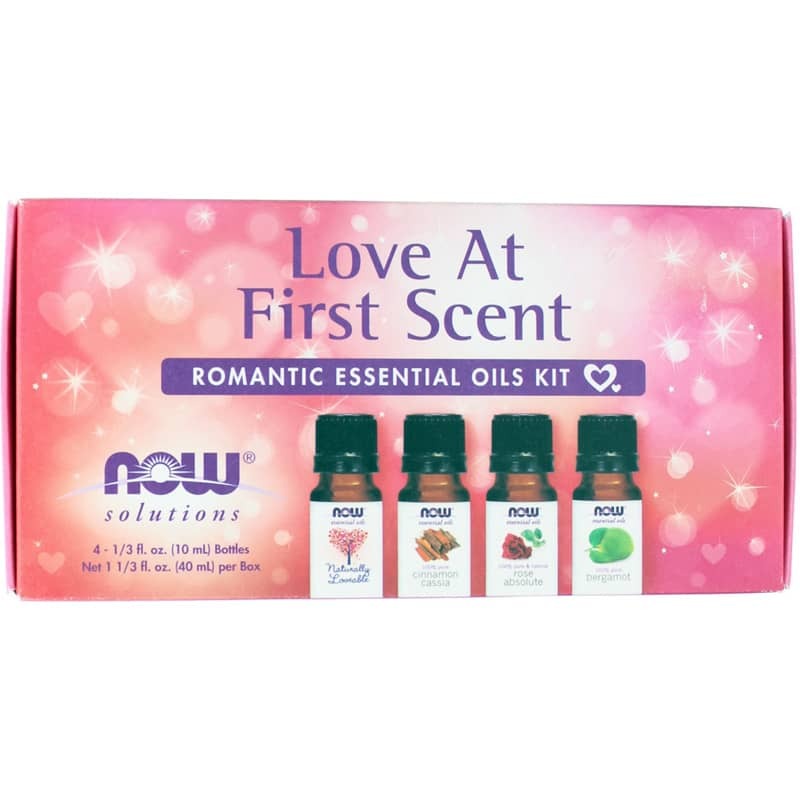 Order Love At First Scent Essential Oils Kit today. Please consult an essential oil book for suggested uses.